You likely know Lending Club is a peer-to-peer lending site that offers personal loans to individuals as well as the chance for personal investors to invest by lending money to individuals. Now, however, Lending Club is expanding their services and offering business loans. This is of particular interest if you own a business. If you’re already investing in Lending Club, you may want to lend money to a business as well. However, ordinary investors cannot yet do that. “For now. . .the program is limited to institutional investors such as hedge funds, insurance companies, and family offices that manage wealth for the very rich, but eventually the company plans to let anyone invest” (Bloomberg Businessweek). Businesses that apply for a loan can borrow up to $100,000 for 1 to 5 year terms. the credit worthiness of the business, among other factors. “Lending Club Chief Executive Officer Renaud Laplanche says the average interest rate will be 12.5 percent” (Bloomberg Businessweek). One of the best perks of the Lending Club Business Loan is that you can pay it off early with no pre-payment penalties. When borrowing, checking the fine print is always best. There are a few other fees attached to the loan. The origination fee can range from 1 to 6%. That money will be taken off the top of the loan. If you borrow $10,000, for instance, and your origination fee is 3%, you will receive $9,700 because the $300 origination fee is taken off immediately. The borrower must pay the origination fee to cover the cost of issuing the loans as well as the screening process. If your automatic payment fails, you’ll be charged $15. A borrower is given a 15 day grace period. If your payment is later than that, you will be charged either $15 or 5% of the unpaid monthly payment, whichever is greater. If you opt to pay via check, you’ll be charged a $15 fee. If you use direct debit, you are not charged a fee. Funding your business can be difficult, especially if you go through traditional channels. Lending Club is expanding their business to offer business loans, which is one more way you can potentially find money for your business, whether you’re using it for debt consolidation, marketing, or another purpose. 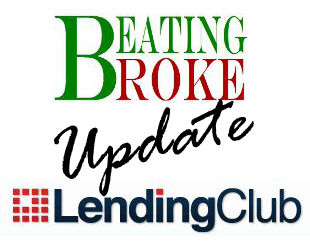 If you have a business, would you look at Lending Club as a potential lender? If you invest in Lending Club, would you like to invest in their new business loans?